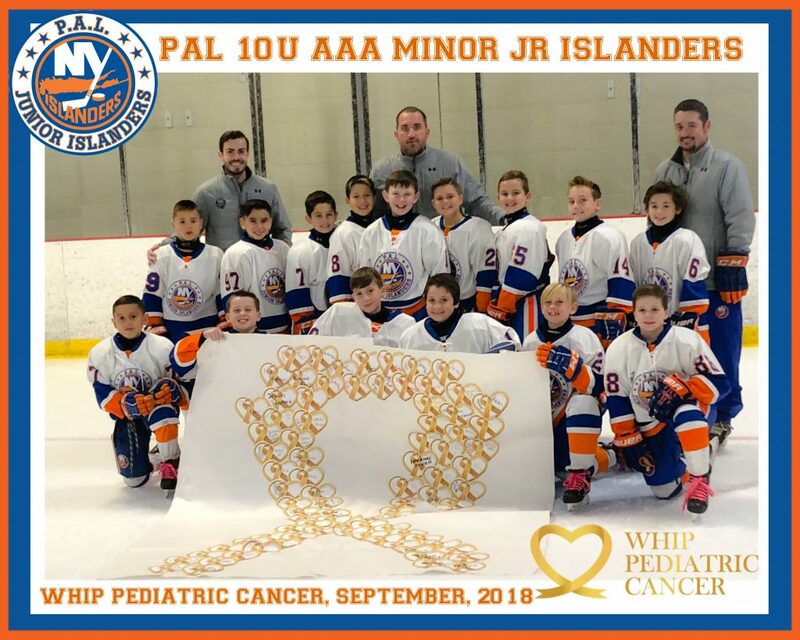 our PAL 10U AAA minor Jr Islanders team raised $ 387 to support the Whip Pediatric Cancer Charity. In August of 2016 Whip Pediatric Cancer launched the HEART OF GOLD program which asked students to get involved in fundraising for pediatric cancer research. In 2016, Whip Pediatric Cancer sent out 500,000 HOLD paper hearts to 971 schools around the country.